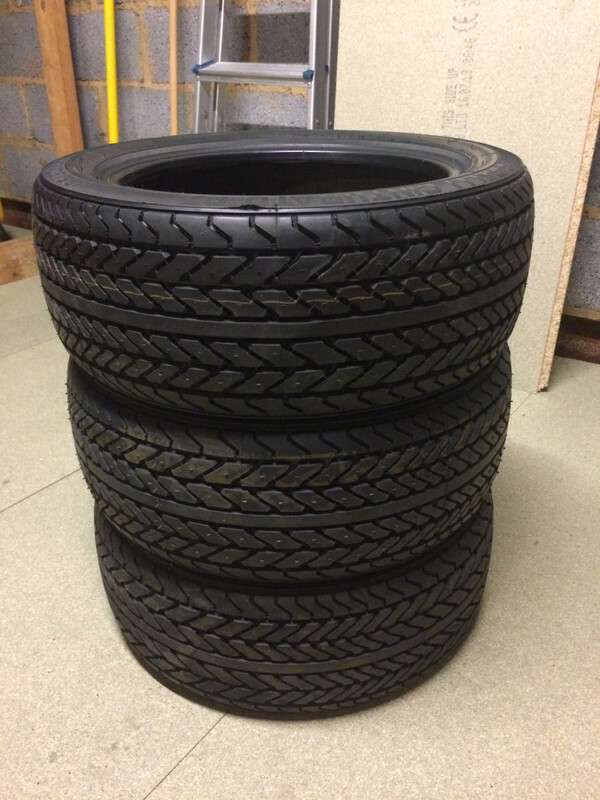 I actually have three Pirelli P7 tyres which were recently removed from my 280 which I'm currently reburbishing.I'm not sure exactly when manufacturing stopped on these tyres but I'm guessing it's been a few years,I certainly couldn't find any new ones when I last looked and that was at least 15 years ago.I know tyres do degrade over time,indeed mine do have some slight cracks around the tyre wall but I'm hesitant in just throwing them away-They've done very few miles since they were originally put on my car and the tread on them is like new. Due to the issues you describe plus potential flat spot problems from being parked up I am ideally looking for a spare tyre (2 of) which has not been used on the road. I wonder what happened to your original spare tyre? I have 6 of them. They are 1990s vintage therefore sold as static display or off road only. They would be excellent for show purposes if you want your Capri 280 to look original. My last set of 5 sold for £450, but they were like new. These are part worns and I will take £45 each for the 4. Postage extra. I'll throw the other two tyres in for 15 quid .each. Anyone interested just give a shout. Hopefully somebody has an unused spare they'll be willing to let go at some point?